LEGO stores are a part of the The LEGO Group, which is a family owned company out of Denmark. Their toys are famously known across the globe as most children were raised by using their products. They are most known for their interlocking blocks. 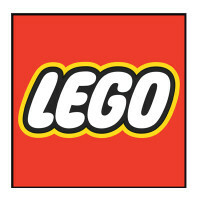 For more information on your LEGO store application, follow the link below. Founded in 1932 in Billund, Denmark by Ole Kirk Christiansen, they originally created wooden blocks for children to play with. In 1947, they began to manufacture the plastic interlocking bricks that consumers know today. There are currently over 100 retail locations across North America and Europe, and the company employs around 12,000 employees internationally. In addition to their blocks, they also have a series of LEGO videogames and LEGO movies. As a result of their products that are marketed for children, they strongly believe in the importance of being an active part of their local communities. They help encourage play based learning in elementary schools, fully supporting these types of programs. They also have set up LEGO playrooms in children’s hospitals. This company encourages their employees to donate their time and energy to volunteering for helping their communities. The LEGO store is a fun environment that is set up to cater to children and families that enter their stores. They have stations set up where children can play LEGOs and the staff can interact with their customers on their level, enjoying the same products. They expect their employees to have knowledge of their products and provide a fun and positive customer experience while customers are in their store. There are many different career opportunities for potential job seekers at both the corporate office and retail store. The retail store offers plenty of entry-level positions that allow employees to move up the ranks and turn their job into a LEGO store career. Some positions include sales associate, assistant manager, and store manager. The corporate office has a wide variety of positions available for people of all talents and skills to find a job that is a good fit for them. While there are some entry-level positions, most positions are higher level ones with more requirements to gain employment. Some positions include merchandiser, quality assurance, and human resources. The different positions at this company have different requirements in order to gain employment. Entry-level positions may have little education with little experience to gain employment. Higher level positions may require a college degree and several years of experience. How old do you have to be to work at LEGO stores? The minimum age of employment is 16 years of age. LEGO offers competitive benefits for their industry. Employee eligibility for benefits can depend on hours worked weekly and job title. Some benefits include career growth opportunities and competitive pay, as well as performance bonuses. They may also include health insurance, dental and vision plans. Other benefits include paid time off, 401(k) plan, and disability insurance. The hours of operation can vary depending on the location and holiday hours. Some holidays may cause closures. During the busy holiday season, hours may be extended to accommodate holiday shoppers. For more information, call your local LEGO store for details. Generally, hours of operation are Monday through Saturday from 10:00am to 9:00pm, and Sunday from 12:00pm to 6:00pm. Sales Associate- Sometimes referred to as “Brick Specialist”, a sales associate is the primary point of customer service in the store. They will assist customers on the store floor, answering any questions the customer may have about products. They will also handle customer transactions at the register, including returns or exchanges. A sales associate may earn around $10 per hour. Supervisor- A supervisor is responsible for training new employees, and be a role model for their staff on how to follow company policies. They will help maximize their store’s sales. A supervisor will assist the managerial staff as needed, including taking over responsibilities when managers are not in store. They will also perform sales associate duties in store. A supervisor may earn around $11 per hour. Assistant Manager- An assistant manager is responsible for assisting the store manager in running the daily operations of their store. They will help train new employees according to company policies. They may also assist on the store floor when the store is busy or they are short-staffed. An assistant manager may also assist with inventory, or however the manager requests. An assistant manager may earn around $35,000 a year. Store Manager- A store manager is responsible for running the daily operations of their store. They will hire and fire employees as needed. They will also conduct job interviews for potential candidates. A store manager will also be responsible for their store’s budget and payroll, as well as increasing profits. They will also schedule their staff. A store manager may earn around $50,000 a year. Here are some questions that you may be asked during your job interview. Why do you want to work at LEGO? The interviewer is looking to see what you know about the company and what they stand for. This question may require some research prior to your interview. Describe which values you feel you share with this company, and why you feel these make you a great fit to work here. Can you work as a team to accomplish goals? LEGO stores require their staff to come together and work as a team to meet the company’s goals. The interviewer wants to ensure that they hire someone who is a team player, and can work successfully as part of a team. Discuss any time when you have had to work as part of a team to accomplish a goal. Build something with our LEGOs? This company takes pride in their product and wants employees to be as passionate about the products as they are. The interviewer wants to see your capacity for having fun, as well as your ability to build a product in case you were playing at a station with a child in store. Just have fun building something without thinking too much about what you are doing. Why should we choose you over the other candidates? The interviewer is giving you the chance to sell yourself to them as the best candidate for the job. Take this opportunity to discuss your strengths and why you feel this company would benefit from them. Do you have any experience working with children and teens? This company caters their products to children between the ages of 2-14, which is their largest market base. A lot of the customers in the store will be in this age range, and they want employees that are comfortable with that. Answer honestly. Wondering how to apply at LEGO stores? You can apply for a LEGO stores job by visiting LEGO store jobs online. You may also fill out an application form at the location nearest you. There are no printable applications online. There are no downloadable applications online. The easiest way to apply is to apply directly online. The company website has the job descriptions and responsibilities for available positions clearly stated for potential job seekers to find the position that is right for them. You should only apply for a position that you are qualified for. Remember to fill out your application completely and according to the provided instructions. You should submit an updated resume along with your application. After applying at this company, you should hear back within a reasonable amount of time. If not, you can contact the location you applied at to check the status of your application or to see if they are still hiring for that position. They may also inform you of when interviews are set to begin if they have not already begun. You should prepare for your interview beforehand. You can do this by asking yourself potential interview questions and answering them aloud. This will help ease your nerves, which will help you be more confident and articulate during your interview. You will want to dress in a professional manner for your interview. This will increase your chances of getting the job. Babies “R” Us: See this page for jobs at Babies “R” Us. Spencer’s: For employment at Spencer’s visit the application page. Lids: For employment at Lids visit the application page. Spirit Halloween: Visit the job application for Spirit Halloween to apply today. ABC Fine Wine And Spirits: Use the ABC Fine Wine And Spirits job application to apply here.